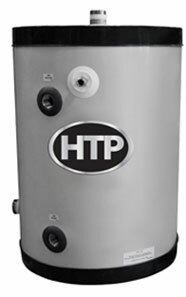 HTP's space heating boilers provide ultimate comfort and the best overall efficiency ratings while keeping maintenance and operating costs to a minimum. 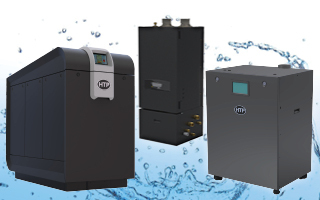 With a HTP high efficiency boiler you can achieve the heat your family or business needs while also saving money and energy. 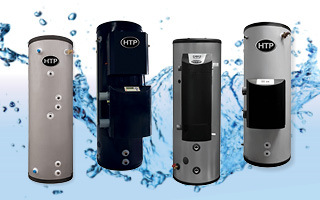 HTP has several water heating options for your needs: tank type water heaters, tankless water heaters, our Crossover series water heaters, or supply boilers. HTP also has models for both your residential or commercial needs. 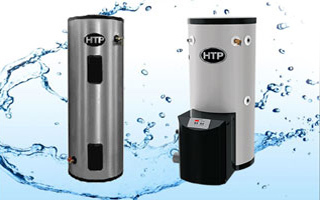 HTP's Indirect Water Heaters can be a part of your combination heating system whether you need indirect tanks or storage tanks for your residential or commercial needs. Not sure which type of indirect water heating option is right for you? 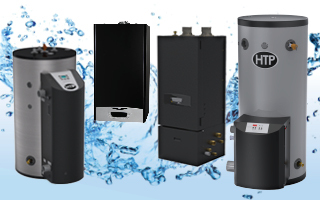 Learn more by viewing our indirect water heating selection guide. Combination appliances save homeowners money on operating expenses, reduces overall installation costs, and takes up less space than traditional space heating and hot water appliances. 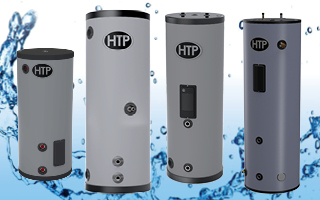 HTP's Comfort Solutions add to our already extensive line of advanced space heating and water heating options. Our comfort solutions provide ultimate control and satisfaction for both homeowners and business owners alike. Check back often as more comfort solutions are coming soon! Choosing solar heating pays! Solar heating saves you money by cutting your electricity or gas use, diminshes CO2 gasses that pollute our air, and more. Your favorite HTP water heaters and tanks have gone solar! The SuperStor® Pro Pool is a stainless steel water heater that draws energy from a boiler to maintain a desired pool temperature. The hot boiler water flows through an internal heat exchanger in the tank, heating the pool water. The boiler must have an adequate BTU capacity and a circulator to transfer the BTUs to the pool heater. An optional control is available to monitor the pool water temperature. Quality 316L stainless steel tank construction improves durability and resists corrosion to make the SuperStor Pro Pool the perfect option for your pool heating needs! The SuperStor Pro Pool water heater is made with 316L stainless steel tank construction to resist corrosion and last longer. It also eliminates the need for anode rods. Traditional coated tanks require anode rods to delay inevitable corrosion and tank failure. The SuperStor Pro Pool stainless steel will outlast any coated steel tank in the market. 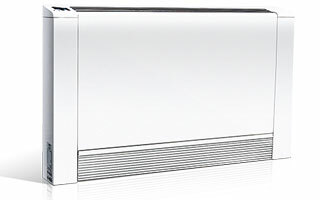 With 316L stainless steel construction, maintenance costs are virtually non-existent. 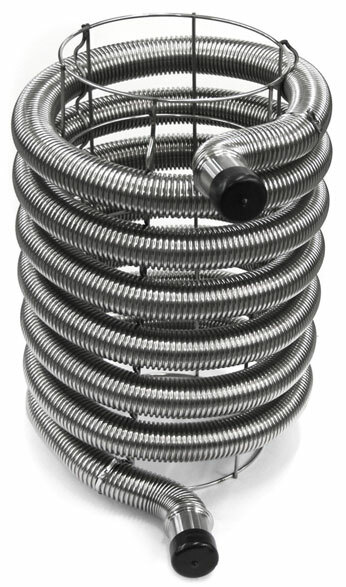 The SuperStor Pro Pool is available in a 20 gallon model to suit your pool heating needs. It is manufactured with a stainless steel coil for increased efficiency and ultimate heat transfer abilities. The SuperStor Pro Pool has thick water blown foam insulation allowing for minimal heat loss and low standby losses. The SuperStor Pro Pool can be linked to a boiler using either a zone valve or a circulated pump. The boiler used in conjunction with the pool heater must be appropriately sized to handle to pool volume. The SuperStor Pro Pool Heater is backed by a limited 5 year warranty for your satisfaction! Your Personal Assistant is a Download Away! Download HTP’s FREE Mobile App. Perfect for when you need guidance on the job. 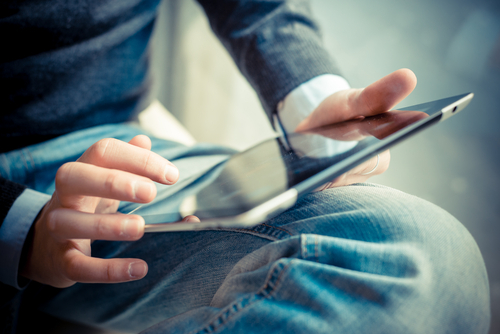 You’ll be able to access installation manuals, parts and installation drawings, brochures, troubleshooting videos and more. its as easy as 1, 2, 3.